Il dissidente cinese Harry Wu ha aperto il primo museo al mondo che espone la vita dei campi di lavoro forzati nella Cina del terzo millennio. Washington, DC, Usa – Renowned Chinese dissident, Harry Wu, has opened the Laogai Museum in Washington, DC, which is the first of its kind within the U.S. to directly address human rights topics in China. Its focus will be the Laogai — the most extensive system of forced labor camps in the world. The Laogai Museum, located at 1109 M St. NW, was created with the support of the recently-established Yahoo! Human Rights Fund. The Fund was established in conjunction with the Laogai Research Foundation to provide humanitarian and legal support to political dissidents who have been imprisoned for expressing their views online, as well as support for their families. A portion of the fund will also be used to support the Laogai Research Foundation’s educational work to advance human rights. Wu hopes that the museum will preserve the memory of the Laogai’s many victims, including the millions who perished within the labor camps, and serve to educate the public about the horrors and atrocities committed by China’s Communist regime. 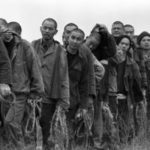 To this end, the museum will not only introduce the history and structure of the Laogai, but will also tell the personal stories of many of its prisoners. Since its inception in the early 1950s, an estimated 40-50 million people have been imprisoned in the Laogai, many of them prisoners of conscience. Materials on display, including photographs, government documents, Laogai products, and prisoner uniforms, were taken from Wu’s own archives or donated by other Laogai survivors. Wu hosted a grand opening for the Laogai Museum on November 12, 2008. The museum opened to the public beginning today. Two senior Yahoo! representatives attended the opening of the Laogai Museum, and CEO Jerry Yang is planning an appearance at the museum next year. Mr. Wu delivered the keynote speech, and remarks were also given by laogai survivor Qi Jiazhen, who was imprisoned for eight years on charges of “treason” for attempting to study abroad in the early 1960s. Also in attendance at the opening were Ms. Jia Jianying, Ms. Lu Kun, and Ms. Yu Ling . Sadly, their presence at this event is of special significance because their husbands remain imprisoned in the Laogai – China’s extensive system of forced labor camps. All three men were given lengthy sentences by Chinese courts for “inciting subversion of state power,” a charge commonly leveled against political dissidents who have committed no real crime, and are considered by human rights groups worldwide to be prisoners of conscience. Ms. Yu delivered an impassioned speech telling of her husband’s arrest and imprisonment during the opening ceremony. 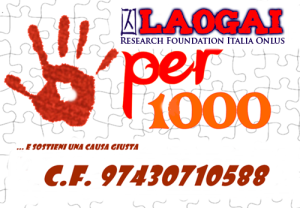 The Laogai Research Foundation is a not-for-profit organization whose mission is to gather information on and raise public awareness of the Laogai – China’s extensive system of forced-labor prison camps.